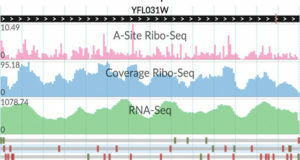 RNA-related applications of the next-generation sequencing (NGS) technologies require context-specific interpretations: e.g., sequence mismatches may indicate sites of RNA editing, or uneven read coverage often points to mature form of microRNA. 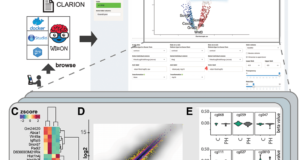 Existing visualization tools traditionally show RNA molecules in two dimensions, with their base pairing and the resulting secondary structure. 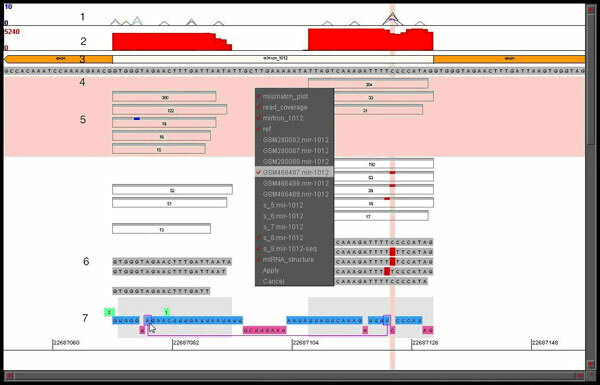 However, it is not straightforward to combine a linear NGS data display with the 2-D RNA depictions. 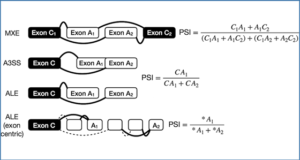 Researchers from Rutgers University present a novel approach for interactive representation of nucleotide substitutions and modifications in the transcribed genome. 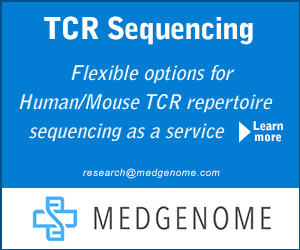 With the focus on RNA secondary structure in the context of NGS data, it provides intuitive visualization of genomic environment, sequence reads, nucleotide polymorphisms and editing events integrated with the structural and functional elements of both coding and non-coding RNA molecules. Using this approach the researchers present and discuss examples and general trends of polymorphisms and editing in the context of the secondary structure of microRNAs. As expected, most of the substitutions comprised A to G and C to T events, consistent with typical RNA editing patterns. However, they did not observe prevalence of editing in double-stranded regions of the microRNA stem-loop. They describe novel prominent editing event candidates, observed across several small RNA libraries of Drosophila melanogaster. 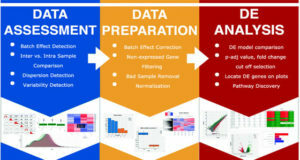 In contrast to the existing general tools for NGS data visualization, the power of our approach is not only in the display of read alignments and their counts, but the integration of RNA secondary structure, sequencing depth, and rates/patterns of editing or other modifications. 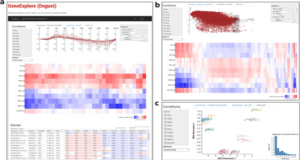 It provides a comprehensive picture, important for large-scale studies and detailed analyses, helping to gain insight into the intricate relationships between different events in RNA biogenesis. Availability – The Java applet is available from the authors upon request. Naqvi A, Cui T, Grigoriev A. 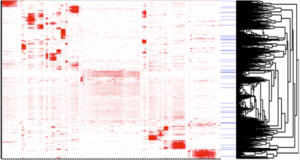 (2014) Visualization of nucleotide substitutions in the (micro)transcriptome. BMC Genomics 15 Suppl 4:S9. [article].